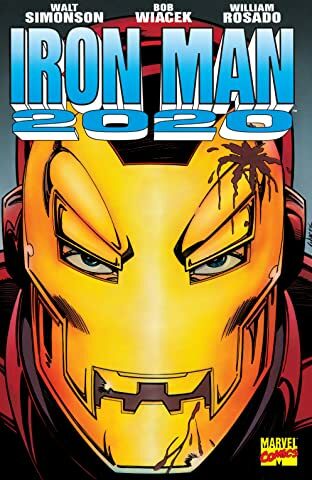 Collects Amazing Spider-Man Annual #20, Machine Man (1984) #1-4, Death's Head #10, Iron Man 2020 #1, Astonishing Tales: Iron Man 2020 #1-6 and material from Astonishing Tales: Iron Man 2020 #1-6 & What If? (1989) #53. The armor is familiar, but the man inside isn't who you'd expect! 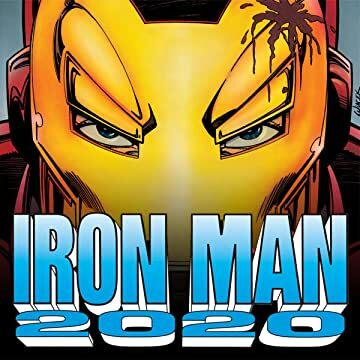 He's Arno Stark, the cold and hard-hitting Iron Man of the future — and Tony Stark's descendant has quite a legacy to live up to. 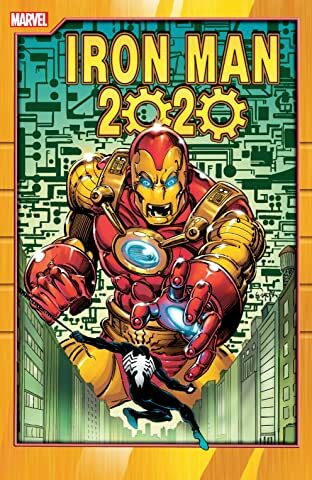 Catch all the futuristic action as Arno battles Spider-Man and Blizzard in a time-traveling adventure to stop a nuclear terrorist; faces Machine Man at the behest of Tony's old foe Sunset Bain; and clashes with the original Death's Head, industrial saboteur Marcus Wellington and the high-flying Commodore Q! Can Arno overcome his foes — and himself — to become the hero he's modeled himself after?